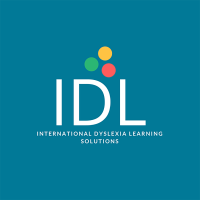 IDL Literacy is a cloud based intervention software, specifically designed to help improve the reading and spelling ability of those with dyslexia and dyslexia type tendencies. It can also be used as a wider literacy tool for other students. Many schools have reported benefits to those with lower level literacy ability and EAL learners. IDL on average shows improvement of 11 months in both reading and spelling ages after just 26 hours of use, and tutors report increased engagement in learning, self -esteem and self –confidence. The programme consists of over 1000 lessons, which provide structured, sequential learning with a multi-sensory approach. IDL Numeracy is a whole school maths resource. Each lesson is made up of one or more of the main mathematical topics including bonds, counting, sequencing, patterns, number value, place value and arithmetic. With 2250 activities each mapped to the KS1 AND KS2 National Curriculum. This allows teachers to see how their pupils are progressing against the expected standards for their age group and identify the areas where they may be struggling.